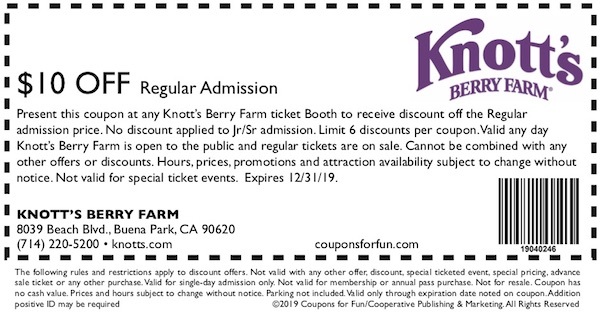 Knott's Berry Farm - Buena Park, CA - Get savings coupon! Fun is always in season at Knott’s Berry Farm with dozens of rides, shows and attractions in four themed areas. Splash down the Timber Mountain Log Rid, and troll through the park’s Old West Ghost Town® or hang with the PEANUTS™ gang in Camp Snoopy, the land of the high sierra fun!